The Farm's event spaces are unique & versatile with stunning views of nature. 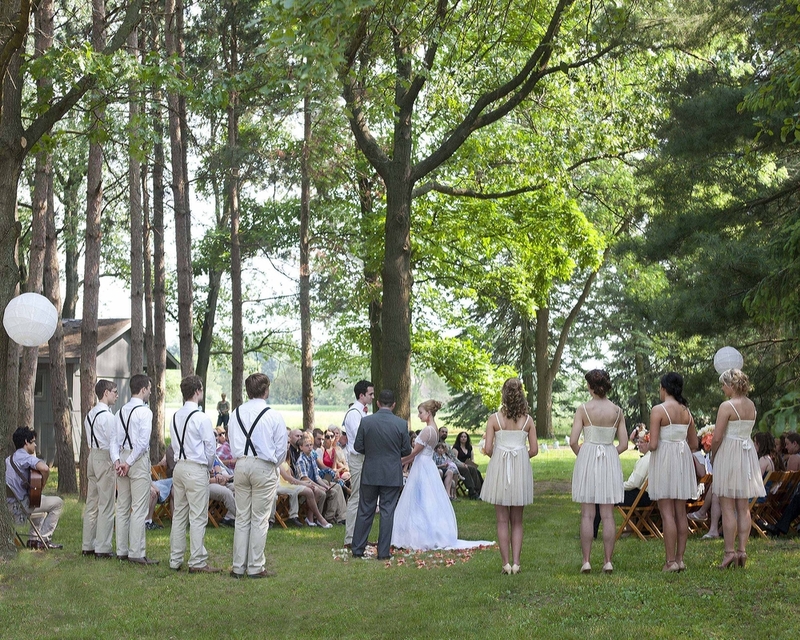 Nestled next to the chicken coop and in the woods, this is truly a one-of-a-kind Farm Wedding Ceremony. We work with you to create the day of your dreams. 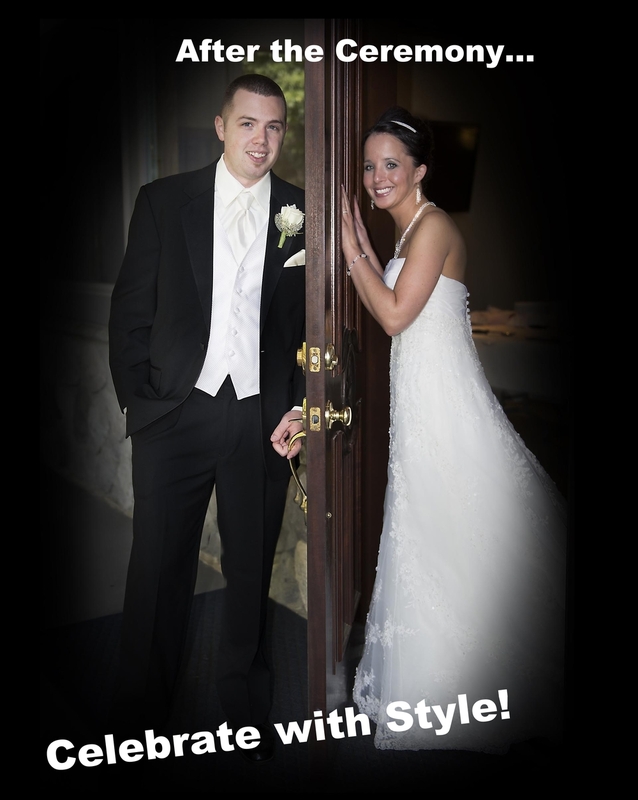 The Wings Gallery Reception Center is the perfect venue to celebrate your special day. We have a fine list of caterers to choose from. Or you are welcome to provide your own caterer. Fine Art by Dale Fisher, special lighting, warm wall colors, and tasteful window treatments re-enforce the feeling of being in a fine art gallery and create a natural backdrop for photographs. Looking for a more rustic venue? 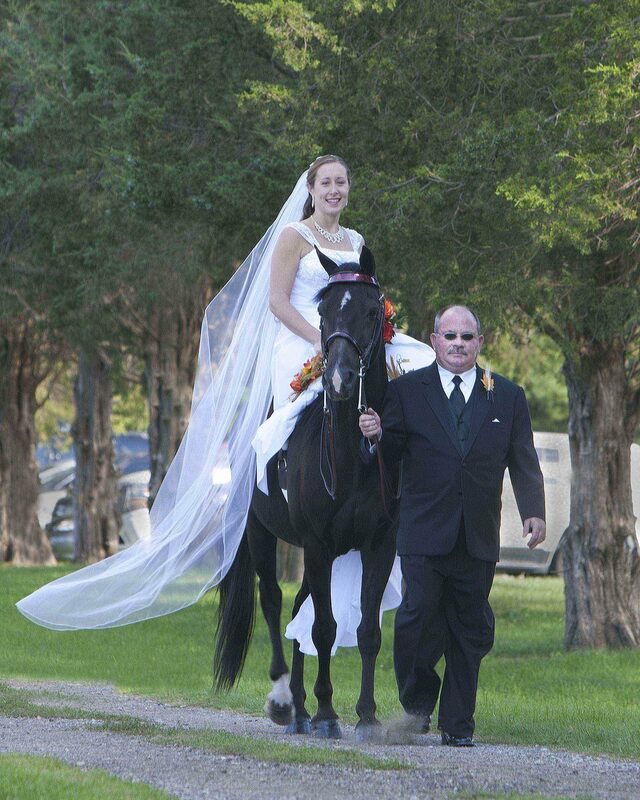 The Eagle's Nest Barn is perfect for weddings, graduation parties, showers, rehearsal dinners. 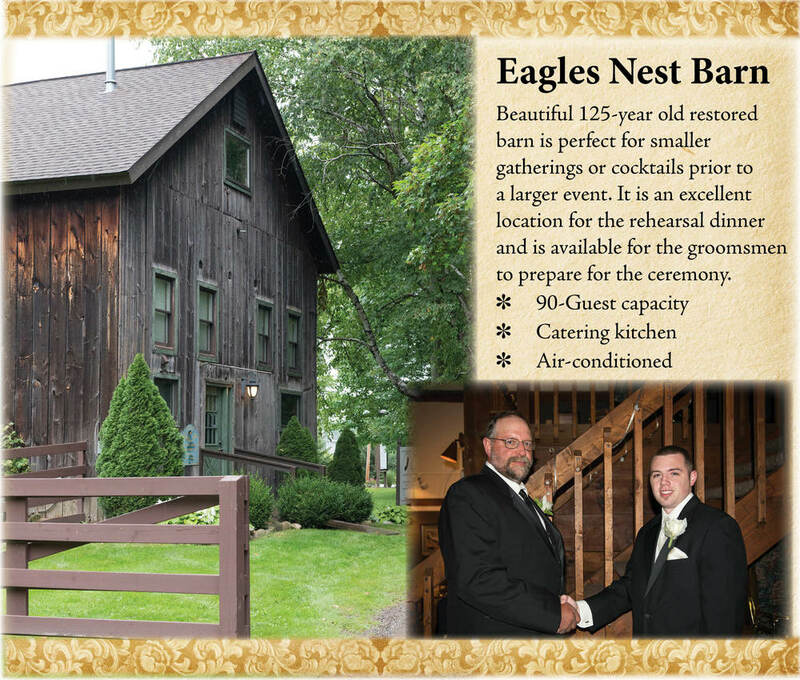 The Eagle's Nest Barn is a perfect place for Groomsmen to prepare for the day's upcoming events. The corn crib, barn, and farm make excellent backdrops for that photo opportunity.